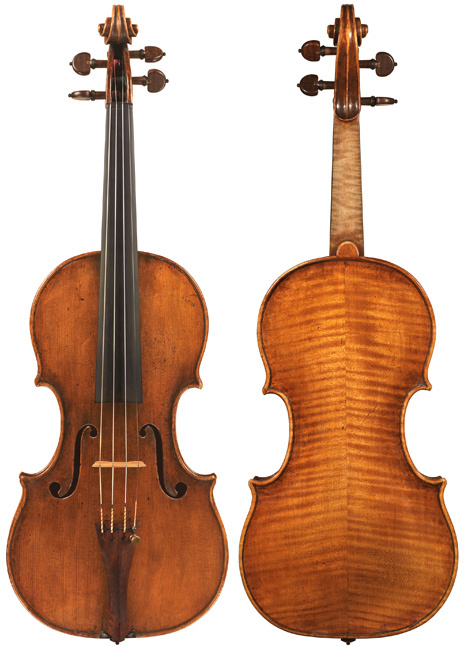 Founder of the great Guarneri dynasty, Andrea Guarneri apprenticed with Nicolò Amati from 1641-1646 and 1650-1654. He married Anna Maria Orcelli in 1652.In 1654, he left the Amati house and moved into a house his wife received as part of her dowry which later became known as Casa Guarneri. Andrea learned his craft well, imparting a special appearance to his instruments. Tonally, his violins have the classic bright and responsive Cremonese sound, but with an added depth and robustness that is the hallmark of this great family of makers. This violin was once owned by the celebrated Swiss violinist Fritz Hirt (1888-1970), who concertized widely throughout Europe as a soloist. He was also concertmaster of the Basel Symphony Orchestra and a member of the Basel String Quartet. Instruments made after Guarneri opened his own shop, including this superb violin, are very highly regarded and sought after by top musicians worldwide for their versatility, tonal qualities, and powerful projection.